Wheat grass juice is undoubtedly one of nature’s super foods. First popularized by Dr. Anne Wigmore in the 1950s, wheat grass juice has become widely recognized as one of the most powerful cleansing and healing foods available. 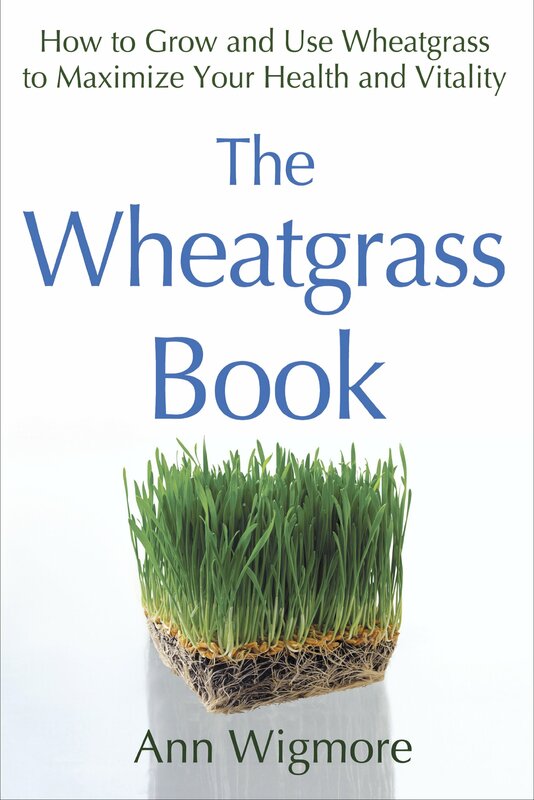 Wheat grass contains a full spectrum of essential amino acids qualifying it as a complete protein. The sprouting process makes the amino acids freely available to our body using minimal digestive energy to absorb and assimilate them. In this form, they pass rapidly into our cells to rebuild and repair as required. 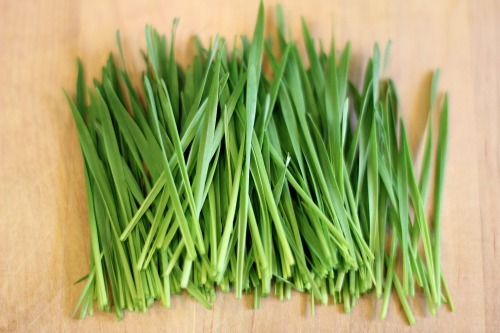 Grown in organic soil, wheat grass contains all the minerals necessary for health in a readily absorbable organic form. Wheat grass juice is also rich in vitamins A, D, E, K and a full spectrum of B vitamins. Wheat grass is especially rich in folic acid and vitamin C. The sprouting process also makes them completely and easily digestible so they pass rapidly into the blood stream and on to our cells. Wheat grass juice contains 70% chlorophyll, the highest of any land plant. Chlorophyll is how green plants harness the sun’s energy into carbohydrates and oxygen. Considered the “blood” of plants, it is almost identical to the hemoglobin molecule present in our own blood. Chlorophyll increases hemoglobin and improves oxygen transport- alkalizing and enhancing health. Our brain and all tissues thrive in a highly oxygenated environment and chlorophyll is a valuable means of improving tissue oxygenation. Wheatgrass is the most effective form of chlorophyll therapy due to its rich supply of additional nutrients. Chlorophyll acts as a disinfectant and deodorant in the body, cleansing it of many ailments. It combats skin issues like acne, eczema, and psoriasis. It improves the function of all organs including the intestines, lungs, and heart. The high magnesium content of chlorophyll relaxes the blood vessels, reducing blood pressure. Harvested from the young grass of wheat berries, wheat grass is free of gluten and other concerns affecting the grain itself. Chlorophyll is known to enhance detoxification by purifying the blood, breaking down mucous, enhancing liver activity, and neutralizing toxins directly. Wheat grass juice flushes drug deposits while the minerals and enzymes remove heavy metals from the body. 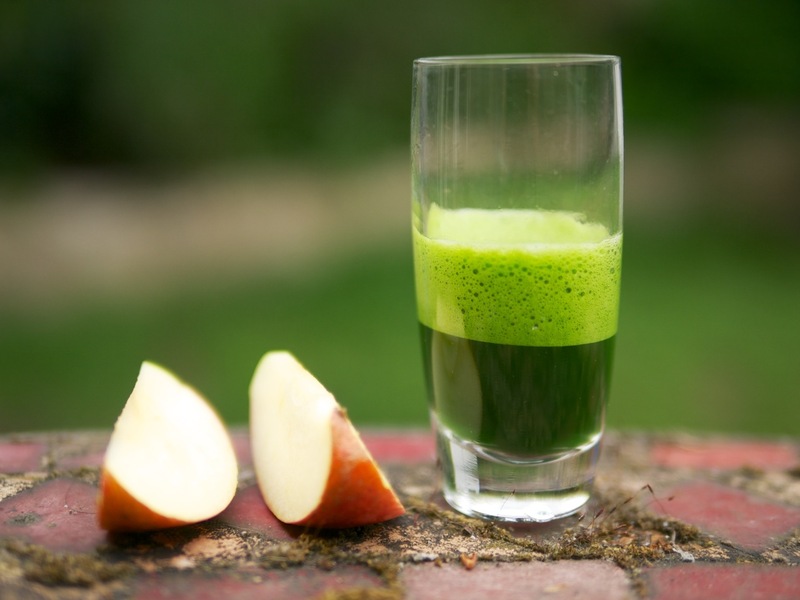 Applied rectally wheatgrass juice cleanses and heals the colon and its magnesium content alleviates constipation. The high chlorophyll, nutrient, and enzyme count of wheat grass juice enhances many aspects of immunity. Wheatgrass juice possesses antibacterial qualities and is effective against the growth of unfriendly bacteria. Our immune system needs a highly oxygenated environment and the rich chlorophyll content of wheat grass juice provides this better than anything. The amino acids produce immune cells and laetrile (vitamin B17), which have been shown to selectively destroy cancer cells. Wheat grass juice heals at a local and systemic level. Gargling relieves sore throats while chewing the pulp heals gums and prevents tooth decay. Applied topically it heals wounds, ulcers, and infections, drawing out and neutralizing embedded toxins. Ingested and applied topically wheat grass juice has been shown to speed and enhance healing and removal of scars. The amino acids, micronutrients and enzymes of wheat grass juice balance blood sugar levels, enhancing absorption of dietary sugars and their metabolism to energy. Drinking wheatgrass juice reduces appetite and curbs cravings addressing the causes of those directly. Wheat grass juice is rich in antioxidants, directly combating the daily free radical attack which speeds the aging process. It’s easily assimilated nutrients enhance tissue repair while chlorophyll oxygenates and heals. I recommend applying it topically to cleanse and nourish skin and prevent hair from graying. Wheat grass juice will improve strength, endurance, and overall wellbeing. Turn back the clock on a fundamental level. 2 ounces twice a day of wheat grass juice. Its healing and health restoring properties are second to none. Enjoy this gift from nature and start down the road to better health.